Gigabyte GP-P650B Technology Direct. Online Computer Superstore. 80 Plus certified ensures the better power efficiency. Less power waste reduces the heat and fan noise. P650B can be up to 89% efficiency. 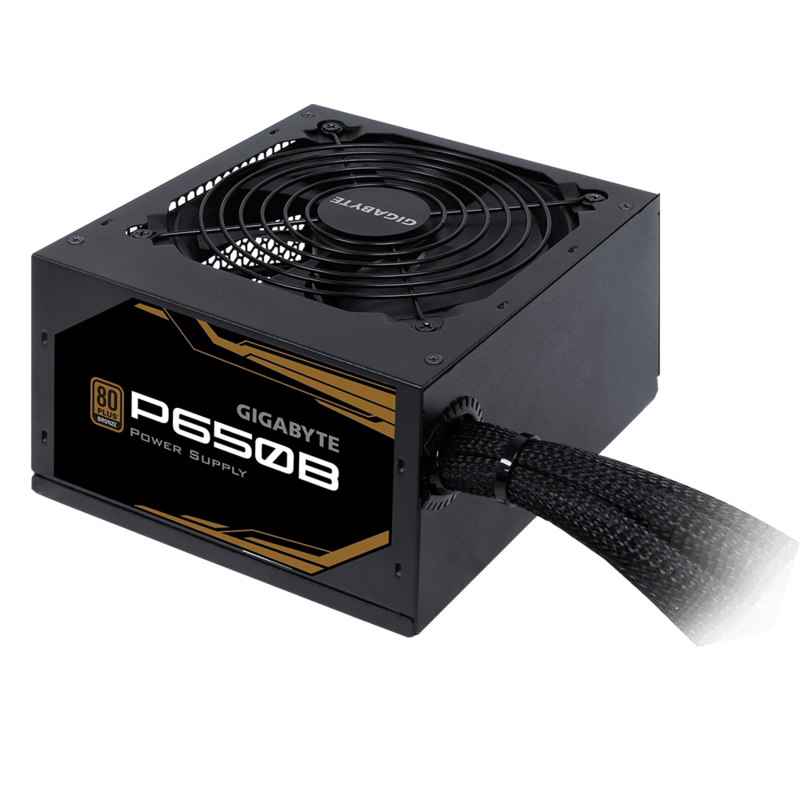 P650B provides the best solution for the system builds. The mesh braided cable reduces the clutter and improves the airflow in the case. Single +12V rail provides the best power output, stability and compatibility for the hardware. And it is the best design for installation. 120mm Hydraulic Bearing fan optimizes the noise reduction and the thermal performance. The fan speed is adjusted according to the automatic power detection. The Hydraulic Bearing fan provides longer and more stable life time.